Andrea over delivered in our opinion. 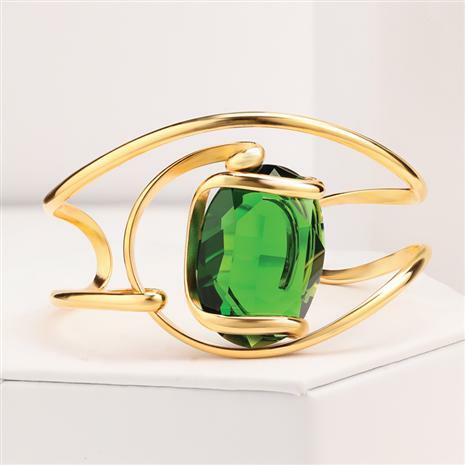 The Helenite Fluente Bangle features generous stones of verdant helenite embraced by Andrea’s sleek, flowing, gold-finished design. There’s a beautiful connection between the volcanic power of helenite’s origins and Andrea’s careful, precise handiwork that now holds it in place. You could pay thousands for gold-finished Italian designs if you don’t mind paying the big designer brand upcharge. Or, you could take advantage of our superior domestic and foreign relations and tap into our treasury for less.